Is Castlot the new Lord of Ultima ? Castlot is by no means a bad game, it's even rather decent. There's just nothing really noteworthy to say about it, either as a positive or negative. The art style is very reminiscent of other browser-based, free-to-play RTS games like Lord of Ultima. It paints the picture of a vaguely medieval, vaguely European landscape in rather drab tones. The gameplay is, again, very similar to other games in this category : you build things to better your equipment so you can more easily defeat your AI and player-controlled opponents. One good point is that building and upgrading a location is lighting-fast, one of the main complaint I generally have against such games, which use this delay as an incentive to buy in-game cash. The tutorial is a bit too light on actual explanation and a little too heavy on narrative texts : I still haven't parsed out how to finish one of my quests, but maybe I just dismiss one wall of text too swiftly. 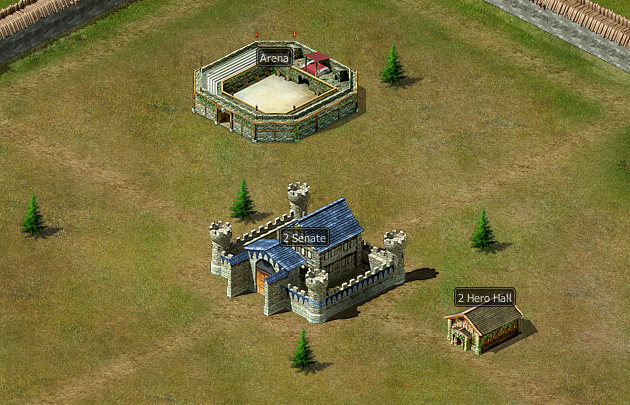 On the other hand, if you've played any of Castlot's predecessors, you'll find your way around the interface just fine. Again, this is not a bad game, It just doesn't seem to bring new to the table.